Per augurarvi buona Pasqua ho scelto questa scultura della paper designer Mathilde Nivet che con le sue mani trasforma la carta in poesia. Una colomba bianca, simbolo di pace, delicata ed eterea che fa parte dell'allestimento creato per Le Bonne Marché. 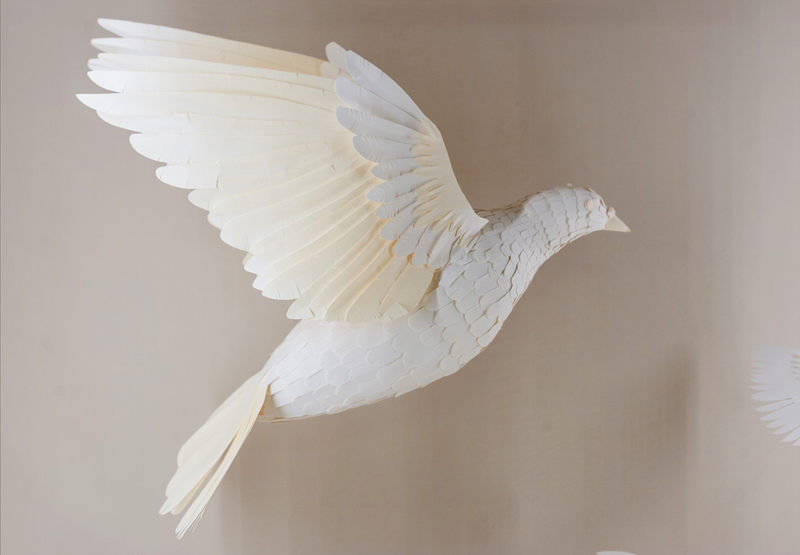 To wish you a happy Easter I chose this fantastic sculpture by Mathilde Nivet, paper designer who transforms paper into poetry with her hands. A white dove, symbol of peace, delicate and ethereal that is part of the set-up created for Le Bonne Marché.